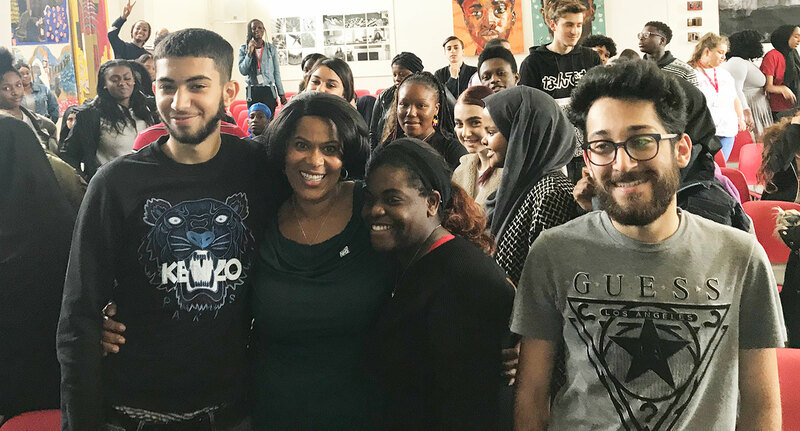 To mark the NHS’s 70th birthday year, Yvonne Coghill, Director of the Workforce Race Equality Standard at NHS England, will today (20 September) visit a London college to help promote careers in the NHS. Yvonne will attend St Charles Catholic Sixth Form College in London and give an assembly to over 200 students studying health and social care, psychology, sociology, science and criminology. Pupils will have the chance to find out more about potential future career opportunities across the NHS, take part in a question and answer session and discover more about Yvonne’s own career highlights and journey. Whilst a number of career paths are open to students who may decide to train to become NHS doctors, nurses, midwives, healthcare or forensic scientists, young people are also being encouraged to take up science, technology, engineering and maths (STEM) subjects. Earlier this year NHS England and NHS Improvement joined forces with the charity Speakers for Schools. The collaboration is giving school pupils access to insights and advice from individuals who are at the top of the health profession, helping broaden students’ horizons in what they can achieve. The campaign is part of plans to mark the NHS’s 70th birthday with well-known media medics and other high-profile speakers volunteering their time to visit secondary schools and colleges in England this summer to help recruit the workforce of the future. Yvonne Coghill, Director – Workforce Race Equality Standard, said: “I am absolutely delighted and honoured to participate in the Speakers for Schools programme as part of celebrations to mark the 70th birthday of the NHS. In July the NHS launched a multi-million pound TV advertising campaign to recruit thousands of nurses in landmark 70th year. The £8 million campaign, funded by NHS England and the Department of Health and Social Care, will highlight the vast range of opportunities available in the NHS for potential new recruits and will initially put the spotlight on the nursing, prioritising key areas including mental health, learning disability and community and general practice nurses and will help deliver the long term plan for the NHS. Yvonne has worked in the NHS since 1977 when she started nursing training at Central Middlesex Hospital. She qualified as a general nurse in 1980 and then went on to qualify in mental health nursing and health visiting. In 1986 she secured her first NHS management job and has since held a number of operational and strategic leadership posts. The NHS is the country’s largest employer offering more than 350 types of profession, many requiring science, technology, engineering and mathematics (STEM) qualifications. However, only one in four secondary school students chooses two STEM A-Levels, and only one in 11 chooses maths and physics.